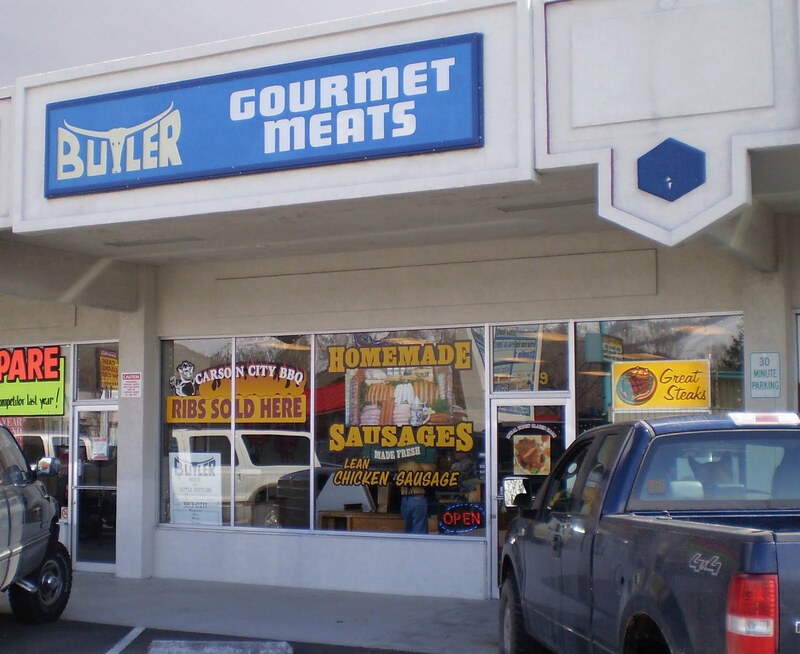 Our Adventure continues to 'Butler Gourmet Meats' in Carson City Nevada. Carson City is only a half hour drive from Lake Tahoe. We are no strangers to Carson City. Once a year the town holds a festival called the Rendezvous. We attend and compete in the Rendezvous Dutch Oven Cook Off held in June. We have also visited Butler Meats and have tried their bacon before. Today we were lucky to meet the owner David Theiss. 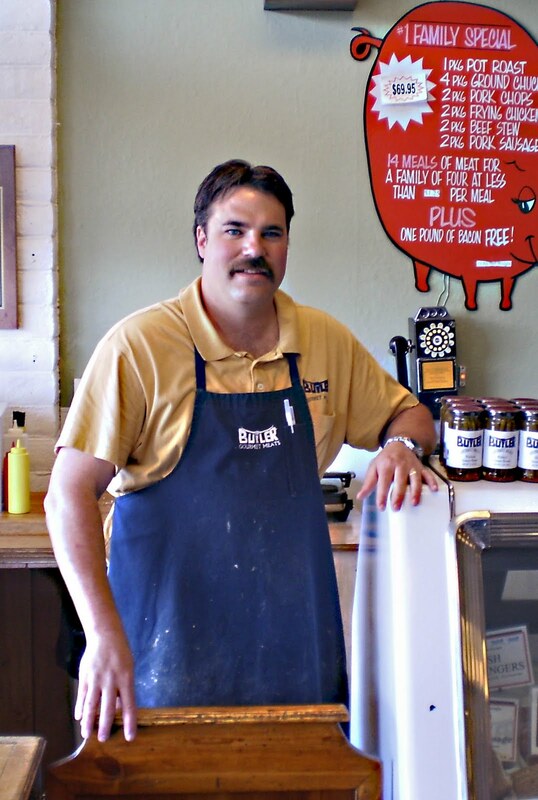 David Theiss started working at Butler Meats in the 70's. His first job was sweeping the floors. 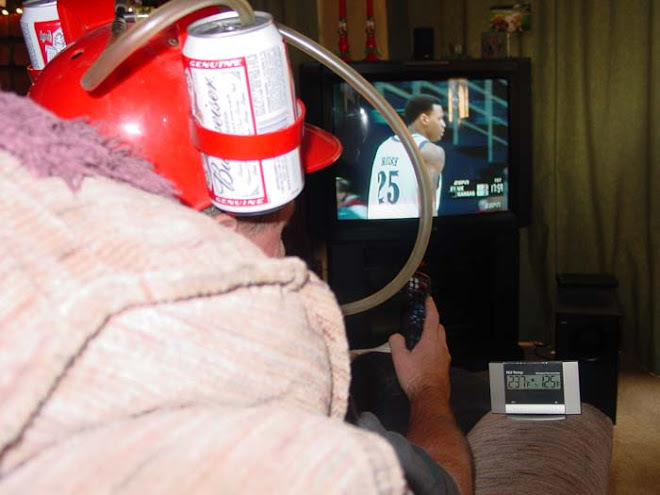 He worked his way up learning the trade and skills as he progressed. In 1984 he purchased Butler Meats and has not stopped learning and creating new products. David sells 18 types of sauces and marinades. He is constantly trying new flavors and combinations. When we met David, he treated us as an old friend. 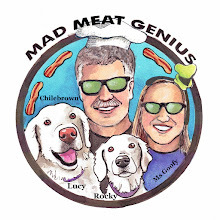 He guided us through his large inventory of meat products. Butler Meats, has all your meat desires. They have steaks to entire sides of beef. There are forty five different flavored sausages. Organic chickens, lamb, hams, venison, stuffed pork chops and a whole lot more. Then there is our favorite, smoked slab bacon. "Score". Butler serves deli sandwiches and has a very large lunch crowd. One thing we noticed was all the different meat packages you can buy. You can fill your freezer with meat combinations. 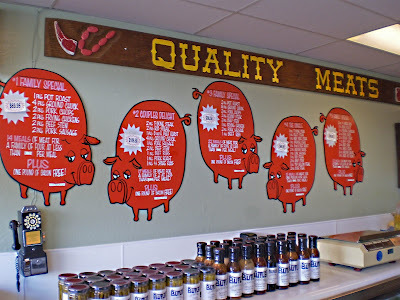 This is an old fashioned Butcher Shop that serves the Carson City populace with quality meat. 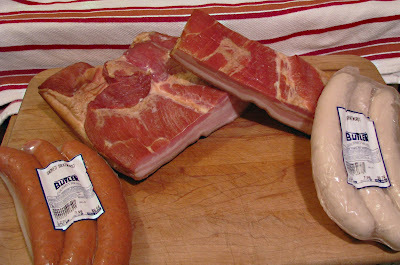 We purchased a large amount of different sausages, ham and some slab bacon. This meat stop was very satisfying. We got to meet David and witnessed an old fashion butcher shop the way it should be. The next time you are in Carson City treat yourself to a visit. As it happens, we will be going to Carson City next weekend, so we'll try to fit in a visit to Butler! Thanks for the tip. Zoomie, Tell them Chilebrown sent you. A Year on the Grill, You never know when you may need some cattle rustling. A good meat market is a beautiful thing. I remember when grocery stores actually hired real butchers. Now they just open cryovac packages of precut meat. Greg, Meatless Monday? That is the first I have heard of it. It sounds pretty silly. We will have to avoid the City on Mondays.